The Hampton Lady Pirates’ bowling season has been on a roll and prior to the start of the Thanksgiving season, they wanted to make sure that turkeys were not only going to be handed out around the dinner table. The Lady Pirates competed in the Virginia Union Invitational on November 20-22, where a total of twelve schools were competing. The team went 9-4 in the event that ended on Sunday at Bowl America in Midlothian. On the year, the Lady Pirates are 15-14 overall and 2-6 in the MEAC. Junior Laina Rivers was the top finisher for the Lady Pirates with a 191.7 average for six games. She matched her season-high with a 212 and recorded three of the four 200s the Lady Pirates rolled in the event. She finished fifth individually in a 70-player field. The tournament featured several CIAA schools and was a battle to see who would gain the most total points. There was also a couple of teams outside the CIAA competing, as well. Hampton was the only representative of the MEAC participating. When the Lady Pirates competed on November 14-15 at MEAC Southern Division opener in Norfolk, they won two matches and lost six. “In preparation, typically we usually have to take a look at what surface they’re using, usually they have a Brunswick surface [and] what kind of lane pattern they are going to have. We have to duplicate that, so we get used to it,” head coach Lee Davis said before the event. The top talent that Hampton is going to have to focus on is Bowie State University and Virginia State. The teams are coming from various leagues, so the opponents’ bowling styles will all pose different threats in their games. 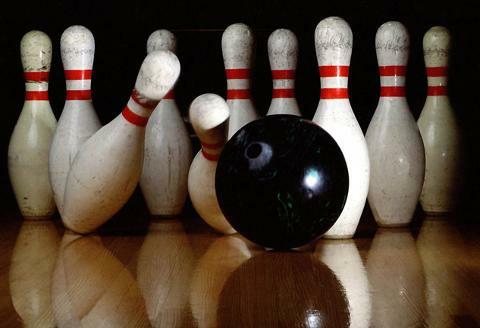 In bowling, a team does not just have one opponent they are going up against. This factor means that, regardless of whether or not a team has a star shining bright for them, if the person at the bottom of the bowling rotation isn’t up to par, a team could lose. Bowlers struggle with different shots and how they deal with them may vary. It sometimes can be something as simple as changing balls or adjusting to the lane surface to make those small adjustments. “If they can’t figure out the best shot to get the ball down the lane, we have to talk about the best way to attack the lane issues”, coach Davis said. “We have some things that will plague us. The ball is a factor. We have to match surface with conditions. You have to match surface, with the ball,” coach Davis said explaining all the factors that go into a particular bowling frame. The different frames and lanes will ultimately tell the tale for the Lady Pirates heading into their next competitions.